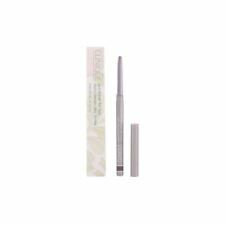 Clinique Pore Refining Solutions Instant Perfector 15ml- Invisible Deep Look smooth and virtually flawless with pores that appear more than 50% smaller-instantly. Natural-looking matte finish lasts up to 8 hours. CLINIQUE SOAP HOLDER WILL BE A GOOD FEW YEARS OLD. IT SLIDES IN AND OUT. A REALLY HANDY ITEM. MEASURES: LENGTH 11CMS X DEPTH 6CMS X HEIGHT 4CMS FROM A SMOKE/PET FREE HOME. Clinique Sweet Sonic Gift Set For Dry To Dry Combination Skin contains: Clinique Sonic System Purifying Cleansing Brush (a dermatologist-developed cleansing brush that delivers an effective, deep cleanse, on all skin types); Foaming Sonic Facial Soap 30ml (removes dirt, excess oil and impurities to reveal smoother, clearer skin); Clarifying Lotion 2 60ml (a gentle exfoliating lotion that reveals clearer skin); Dramatically Different Moisturising Lotion 30ml (combines all-day hydration with skin-strengthening ingredients). 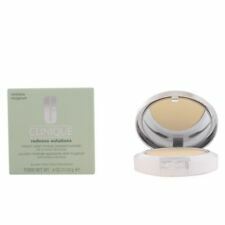 Clinique Redness Solutions Instant Relief Mineral Pressed Powder 11.6g. Quickliner for eyes. 07 Really Black. Travel Size. 5 fl oz (15ml). Clinique Pep-Start Double Bubble Pur. Mask 50ml Women. 3-Step Skin Care System (Skin Type 2): Liquid Facial Soap Mild Clarifying Lotion 2 DDML Lash Power Mascara Pop Lip 5pcs. 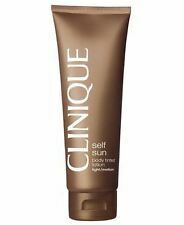 1x Clarifying Lotion 2 60ml/2oz. 1x Liquid Facial Soap Mild Dry Combination Formula 30ml/1oz. 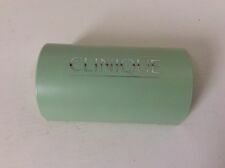 Clinique by Clinique 3 Steps Great Skin Set - Skin Type 3 Soap, Clarify, Moisturise . Clinique Clinique Pep-Start 125ml Care Women. Dramatically Different by Clinique Moisturising Gel with Pump 125ml Oily Skin . TOILETRIES BAG. LIQUID FACIAL SOAP MILD - 50ML. FACIAL SOAP MILD 42G. Neutralizes the appearance of redness & corrects other imperfections. Clinique Aloe Shave Gel 125ml Men. An exclusive 6-piece Gift Set featuring full-size Clinique skincare favourites and Makeup must-haves. All wrapped up in a perfectly giftable box. • Exclusive Clinique Embossed Compact Mirror. • Full-size High Impact Mascara in Black 7ml. Clinique by Clinique Dramatically Different 125ml Moisture Lotion [Pump] . Intend to buy. 100% Fragrance Free.Allergy tested. Clinique 2-in-1 Cleansing Micellar Gel Light Makeup Remover 150ml Cleansers. Condition is New. Dispatched with Royal Mail 1st Class. 8.5MLS VIAL. FRESH PRESSED DAILY BOOSTER. WITH PURE VITAMIN C 10%. made with love by. Redness Solutions Daily Protective Base SPF 15 40ml. Targeted Protection Stick SPF 35 UVA / UVB 6g. Features reinforced UVA defense. 1x All About Eyes 15ml/0.5oz. Smart Custom-Repair Serum 100ml. An effective repairing face serum. Visibly minimizes the appearance of wrinkles fine lines & dark spots. CLINIQUE iD Dramatically Different Oil-control Gel 115ml Uneven Cartridge 10ml. Condition is New. Dispatched with Royal Mail 2nd Class. Protects skin against UVA & UVB with SPF 15. All About Eyes 15ml. Incredibly holds eye makeup in place. Redness Solutions Soothing Cleanser 150ml. Leaves skin clean comfort & radiant. Naturally Gentle Eye Make Up Remover 75ml. A total eye makeup remover. All About Eye Serum De-Puffing Eye Massage 15ml. Counteracts dark circles & instantly illuminates eye skin. A powerful anti-aging face serum.